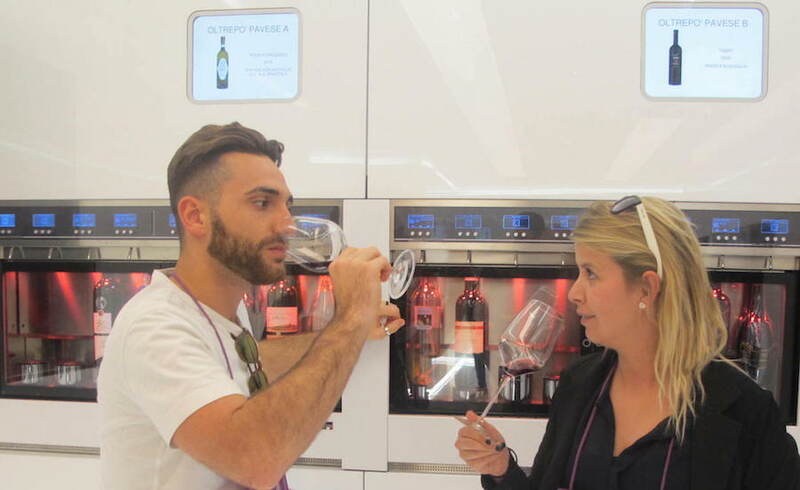 MILAN EXPO 2015 Wine Pavillion, a true multi-sensorial experience. 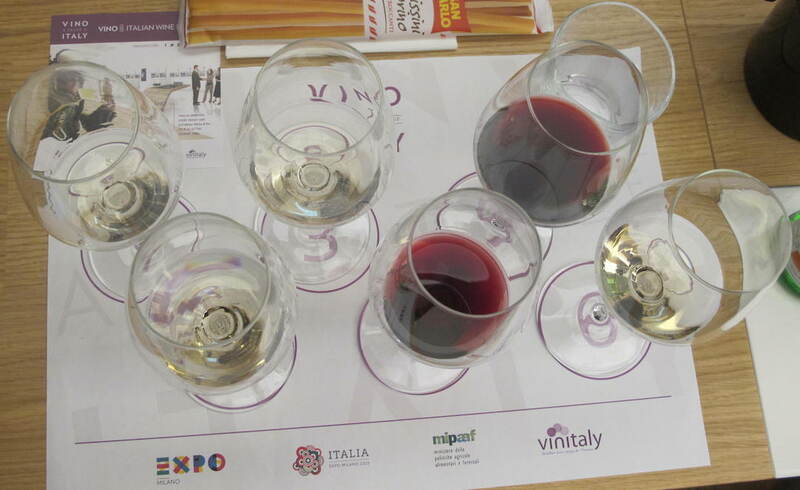 Tasting Settesoli. Great surprise at Expo 2015! 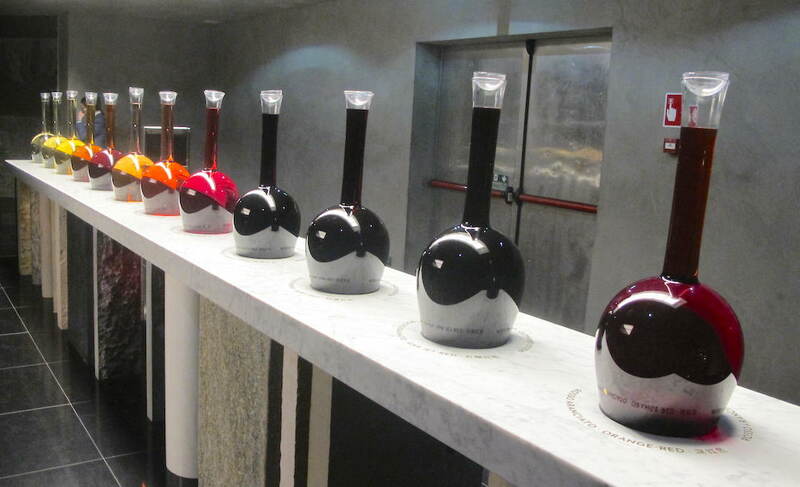 I visited the Wine Pavilion boasts a wide array of communications tools, as it narrates the history of wine-production. The exhibit brings all five senses into play, with taste taking priority. Some of the best-qualified sommeliers are on hand to arrange wine-tasting experiences blending tastes with aromas. 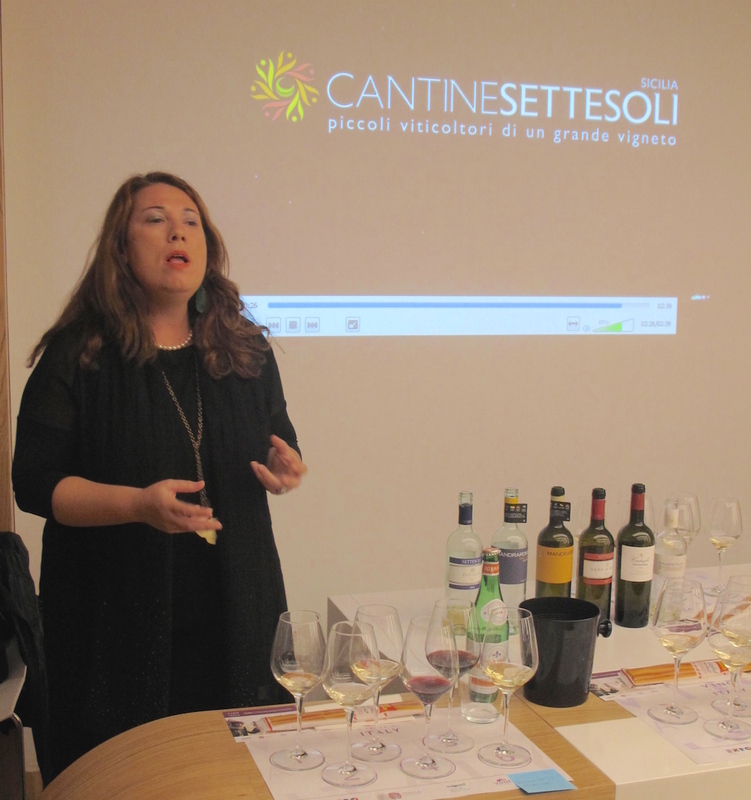 I attended to the Cantine Settesoli tasting hosted by charming PR Roberta Urso. 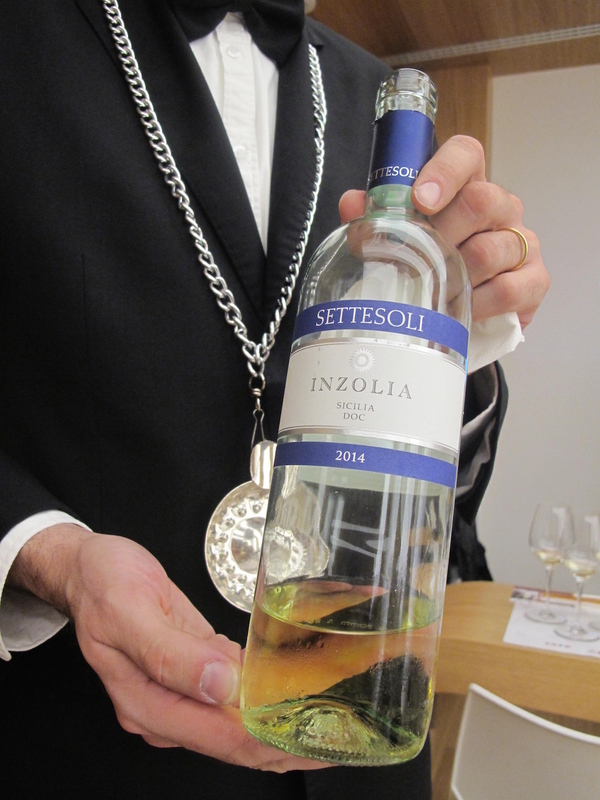 Inzolia, a very reasonable price for a great white wine. Light and fruity, just the way I like it. Roberta suggested fatty fish such as halibut or dory with potatoes and cherry tomatoes to go with. Grillo, with a distinct aroma of jasmine and citrus.To be served with grilled vegetables, medium seasoned cheese, legumes soups, raw meats. The legendary Nero D’Avola with its ruby red, and a brightly intense taste, smooth and warm, with a distinctive scent of marasca, local red cherry, excellent with raw meat and grilled white meat. The Mandrarossa wines are the toprange of Cantine Settesoli. 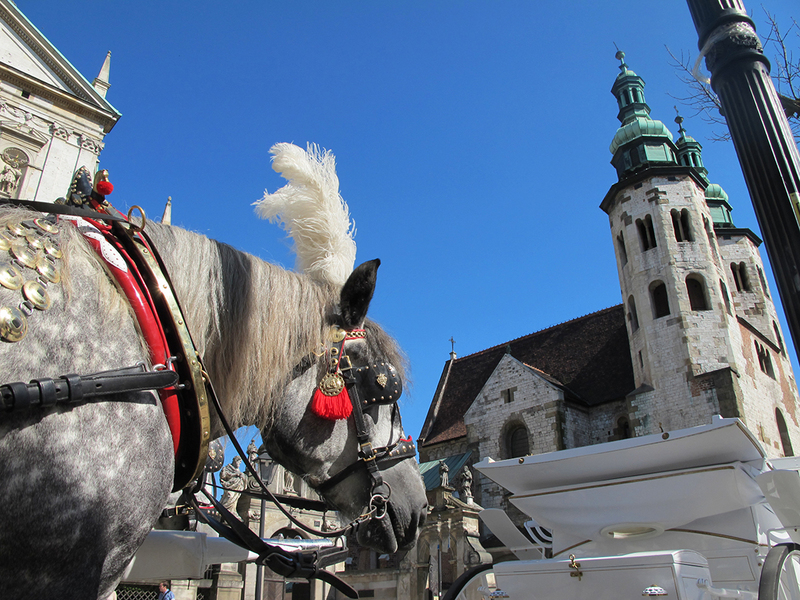 They come from the careful selection of both the vineyards and the vines, together with the harmonious combination of local culture, traditional farming and winemaking technology. The tasting ended up with an amazing finale. The “meditation” chardonnay CALADEITUFI Mandrarossa Vendemmia Tardiva, produced in a small vineyard that slopes down toward the coast, between sandy dunes and wild vegetation. the breeze refreshes the grapes that are left to ripen on the plant. Deliciously perfect as a “solo” wine or accompanied by light cheeses, desserts, dry fruits. 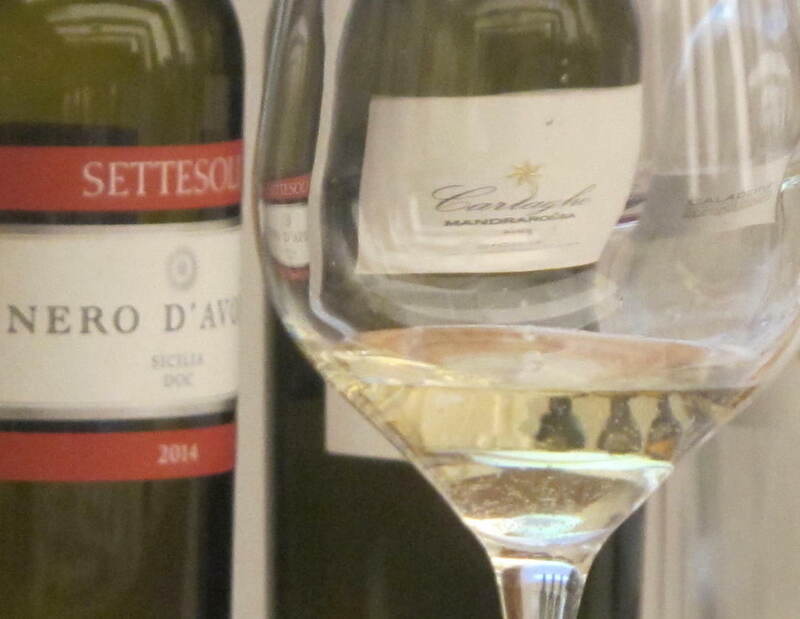 Settesoli is the largest wine company in Sicily, Twenty million bottles are made in a year and they are sold in 35 countries. “Settesoli is a stellar constellation, said proudly Cantine the general manager Salvatore Li Petri, each producer is a star”. 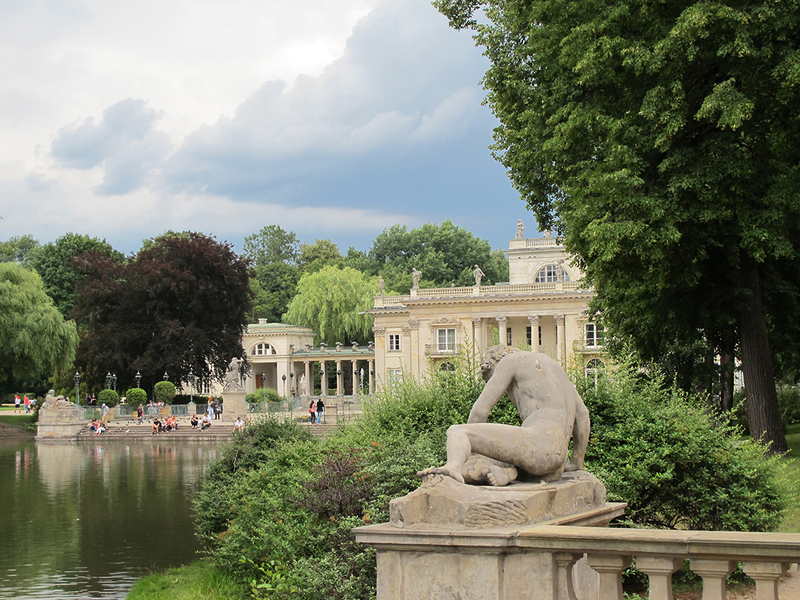 It will be a great occasion to get closer to Poland through a series of events held within the exhibition hall, the area in front and inside the city area. In the Poland Pavilion, you will find interactive installations and video themes, broken down by regions, creating an interesting virtual journey of the country: the Malopolska region, with 14 UNESCO sites, the magnificent city of Krakow, the Podlasie region, an area of ​​wilderness, great traditions, multiculturalism and numerous paths for cycling; the Lower Silesia region from the rich and varied landscape with ancient cities, prestigious spas and the city of Wrocław, which in 2016 will be the European Capital of Culture;In addition to that you will discover cities of the Baltic Sea, amber; the capital Warsaw, UNESCO World Heritage town, exuberant, lively and full of life, with a cultural offer so rich that it boasts 28 theaters, 35 museums and 60 art galleries; Finally Lublin, hosting the early famous Carnival of Acrobats. During the week it will be also presented the Greenvelo Project, the longest cycle path in Poland that crosses five regions of the territory east of the country. One of the attractions of the Pavilion is its magical garden. 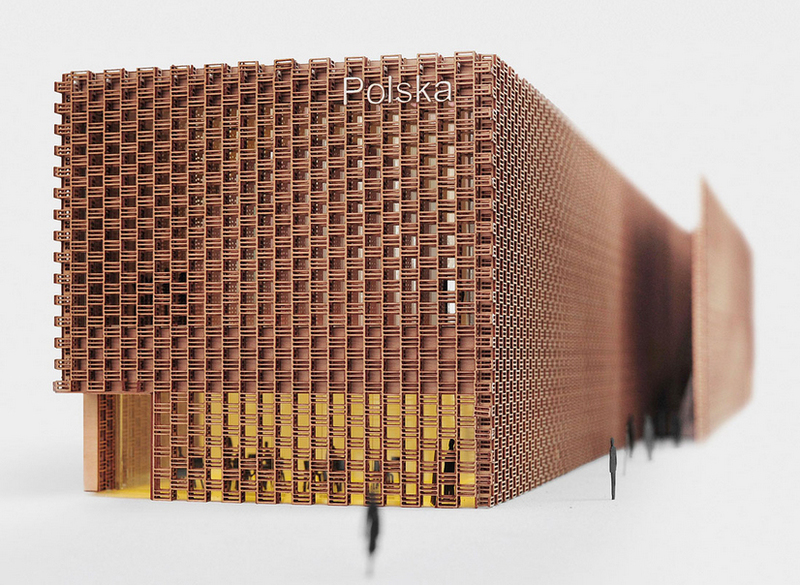 The winning design relates to one of Poland’s top agricultural exports – apples. Piotr Musiałowski, leading the architectural team, during the conceptualization of the Pavilion, sought to create a symbolic maze, with a magical garden as its focal point – a Polish orchard, full of apple trees. The hidden garden becomes a resting place on the other side of the mirror. An apple orchard reflected in infinite space is clearly associated with the Polish agriculture Ohhhh I forgot about polish food ! 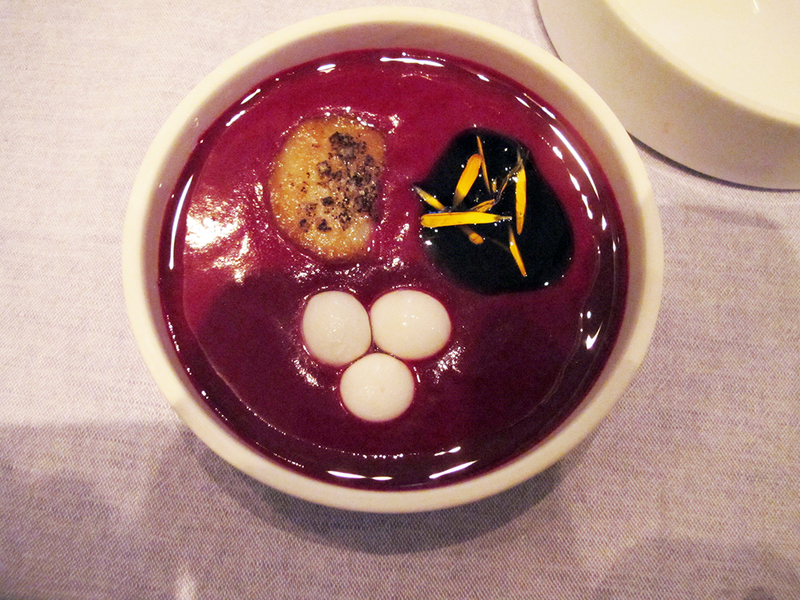 Poland offers a culinary paradise that deserves to be discover and tastefully experimented!